The BoBunny Blog: Misc Me Joy! It's Romy here on the BoBunny blog today. Today I will share some of my latest Misc Me creations with you. 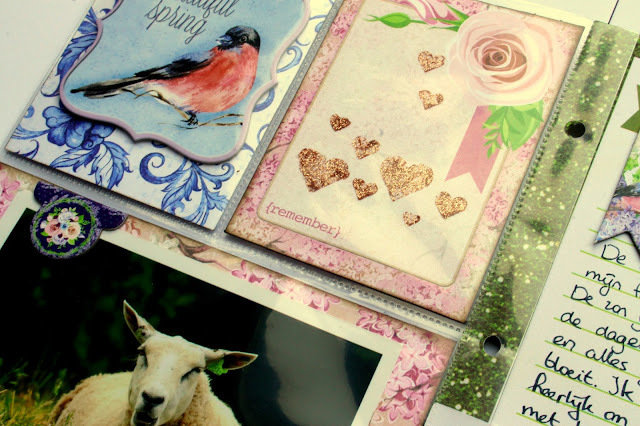 As you may know, I'm using Misc Me to create a 'book of joy', filled with happy memories to all kinds of special moments throughout the year. 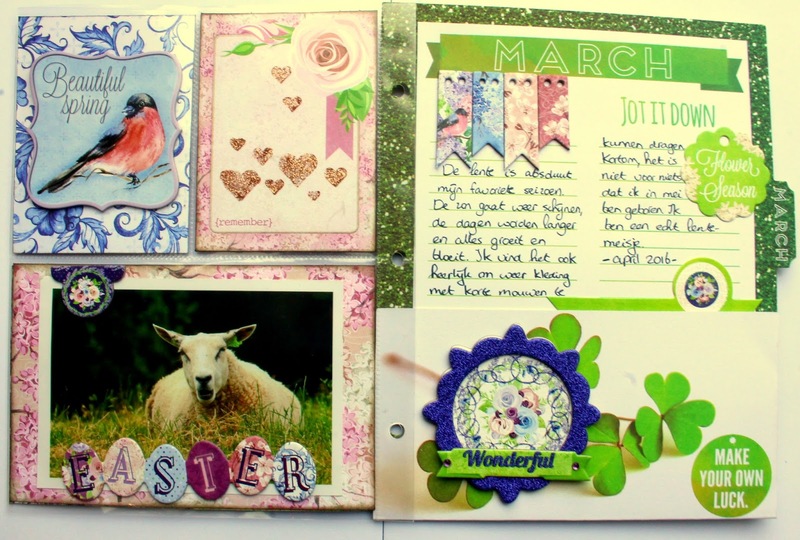 For my March Misc Me pages I wanted to document my favourite season, spring. 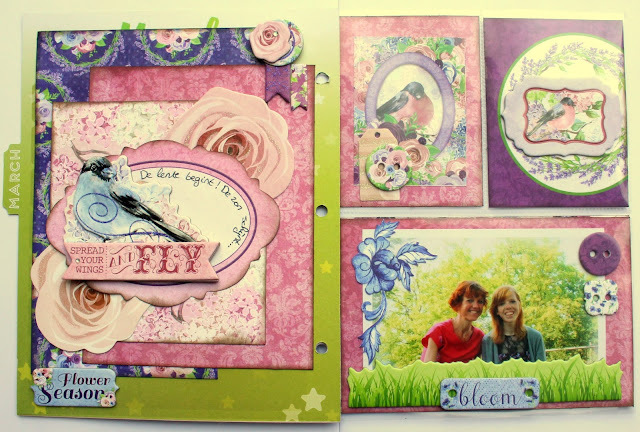 I used the wonderful Secret Garden collection to create these pages, together with the Journal Contents from the Calendar Girl collection. For some extra interest, I used the heart stencil from the Love Stickable Stencil set with some Rose Gold glitter paste on one of the cards. 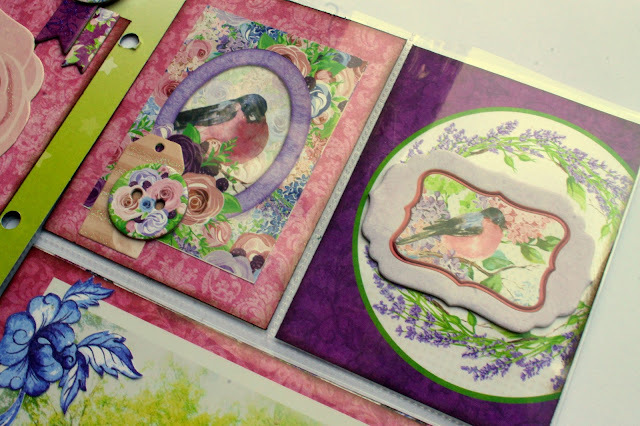 I also used some chipboard embellishments to decorate some of the cards. On the Calendar Girl journal page, I journaled about the things I love about spring: the sunshine, the fact that the days are becoming brighter and longer again and the flowers and blossoms. I also used a photo of me and my mom on one of the pages. 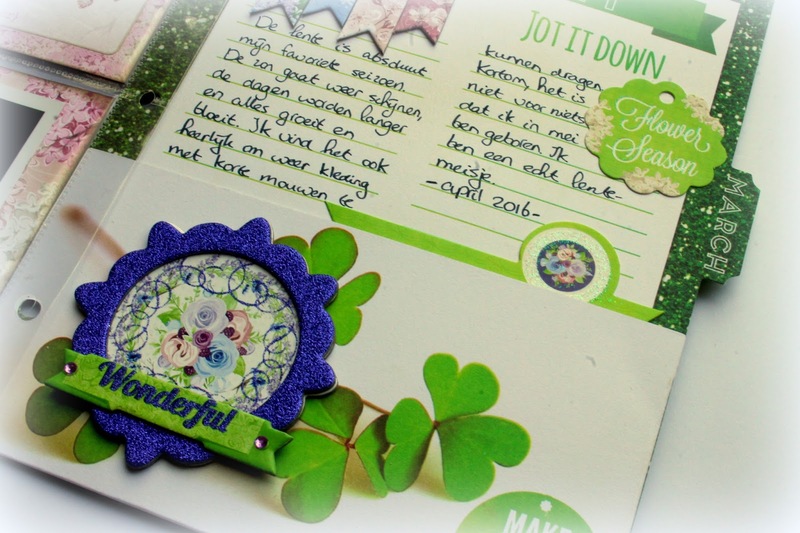 I embellished it with a chipboard embellishment and some buttons from the Secret Garden Buttons package.